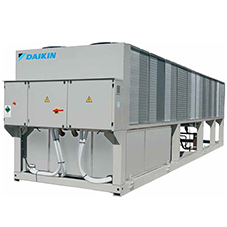 Daikin’s new Centrifugal Oil Free water-cooled inverter chiller series is an advancement in technology. 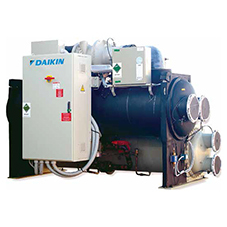 The R134a range (EWWD-DZ) gives you a choice of cooling capacity from 320 kW up to 1,478 kW at nominal conditions, with single compressor models offering an output of up to 742 kW and dual compressor models between 610 kW to 1,478 kW. 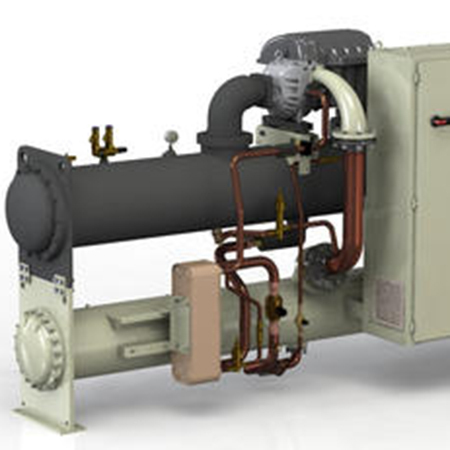 The R-1234ze(E) range (EWWH-DZ) is available in cooling capacities from 230 kW up to 952 kW at nominal conditions, including single compressor models up to 478 kW and dual compressor models between 430 kW to 952 kW. The use of R-1234ze(E) provides an environmentally friendly solution, combining a low Global Warming Potential (GWP) with high energy efficiency. R-1234ze(E) is an HFO refrigerant (Hydro Fluoro Olefins). Its Ozone Depletion Potential (ODP) is equal to zero (0) and the GWP is 7 (according to the EU F-gas Regulation based on IPCC’s Fourth Assessment Report). The GWP value is less than 1 according to the IPCC Fifth Assessment Report. 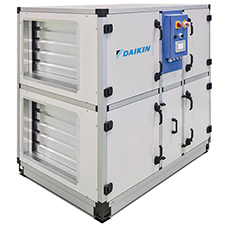 The DZ series has been carefully designed to ensure optimum energy efficiency resulting in decreased operating costs, and with its dedicated compressor sound proof cabinet, it’s an eco-friendly, low noise solution. It also includes Rapid Restart and can be monitored remotely for ease of use and preventative maintenance.